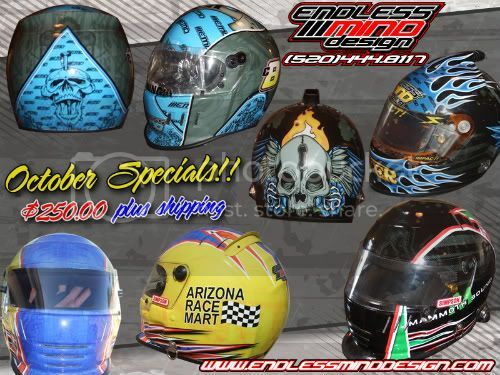 Endless Mind Design is running a special on helmet wraps til the end of the month! Get your helmet wrapped at a discount! *Sale ends October 31, 2009. Call today to get your designs started!